Tuesday 9th April 2019 at 7:00 p.m. 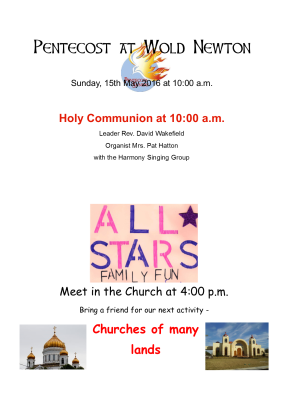 The Annual Parishioners Meeting for the Election of Churchwardens will take place on Wednesday 11th April 2019 in the Church, starting at 7:00 p.m. Following these meetings there will be a PCC Meeting. Saturday, 23rd March, starting at 7:00 p.m.
Friday, 26th July 2019 starting at 7:00 p.m. The group sings anything from Ilkla Moor Baht'at through to the Gloria, with some genre deviations along the way. 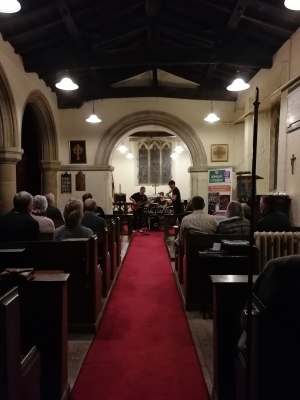 It has the twofold aim to enhance the worship within our Church, but also provide entertainment at local social and fundraising events, and continues to develop its capabilities since first singing in Church at our Easter service of Holy Communion in 2014. Life in Wold Newton is good. I enjoy living in the village. It’s a great place to be. Only a small place, but the community spirit is strong, everyone helping each other. If I have a problem I know that there are lots of people here that I could call on for help and in turn, I would help them if they need me. I feel safe and secure in Wold Newton. The little village with a big heart. 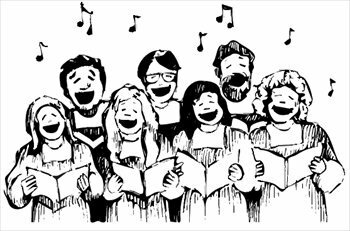 With these thoughts in mind, it’s easy to see how the evolution of a singing group, which gives praise to God, was inevitable. 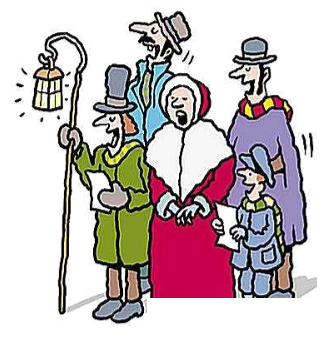 Its advent occurred in April 2014, when a group of parishioners were asked to sing a hymn on Easter Sunday. 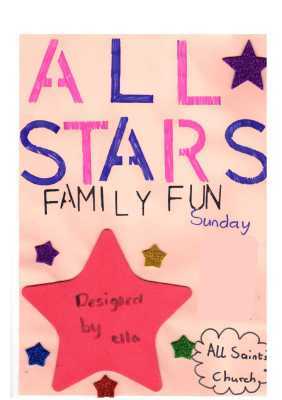 I was away at that time, visiting my daughter in a far distant land, but on my return and because in the past I had been in a choir I was asked toorganise the singing group. This was not a difficult task and before long we had a group of ten people who were happy to sing. We started by performing hymns at ‘special services’ but as our confidence and ability grew we were invited to do more challenging tasks, moving from strength to strength. Last year we sang at Burton Fleming flower festival, and this year we have had the honour of singing for the Archbishop when he visited our Church on his pilgrimage. The secret of our success is simple, we all enjoy singing and we are a true democracy. Everyone has their say and is listened to, and usually we all agree! With the assistance of Matthew, our musical director, who we hope will be able to provide a learning session for us on a regular basis, we are improving and have now started to sing in parts. At the moment we are looking for two things, a keyboard player and a name. Pat our church organist is very good but cannot attend our practices. Regarding the name, several suggestions have been made, ‘The Wold’s Warbler’s’, ‘Meteor Melodies’, ‘The All Saints’ Singers’. But for me it’s a ‘no brainer’ really, the only name that suits us and that we could possibly be called is HARMONY – though the jury is still out on that one. 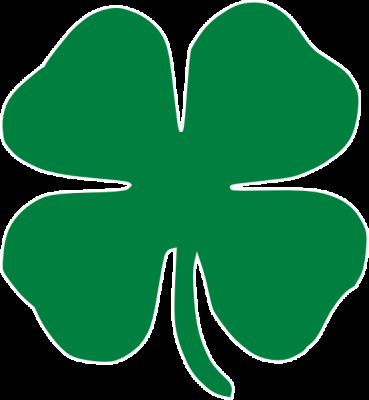 The Shamrock Experience has been together for over 10 years performing as a trio at events across England. The unique of the band is the blend of folk music with other rhythms. This combined with taught dances provided great entertainment for the large audience. 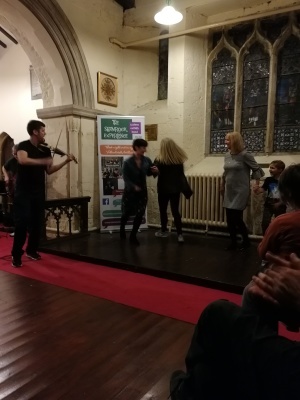 The dances were taught on the spot and this enabled everyone get to their feet and to have a go! 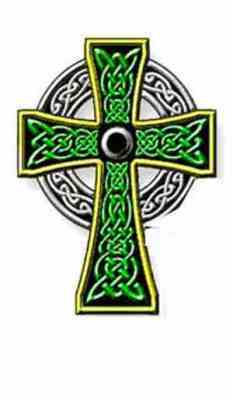 The dances were based on traditional ceilidh dances and Scottish folk. This year's Palm Sunday Benefice Service was held at All Saints' Church, Wold Newton. As is now the custom, we assembled opposite the Pond for our walk of witness up to the Church, led once again by William the Donkey. The Church was packed with a large congregation, and the service was led by Rev'd Barbara Hodgson, assisted by our Lay Readers and members of the Church congregation. The pictures below show William arriving, and our walk to the Church, and in Church after the Service. 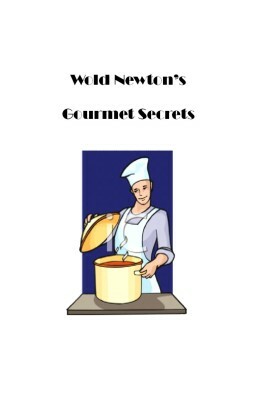 Our popular recipe book, 'Wold Newton's Gourmet Secrets', will be generally available once again as from mid-March this year. The book contains seventy-eight family and traditional recipes many with colour pictures. The recipes have been submitted by members of the Church community and friends far and wide, and includes some recipes you will not have seen before. 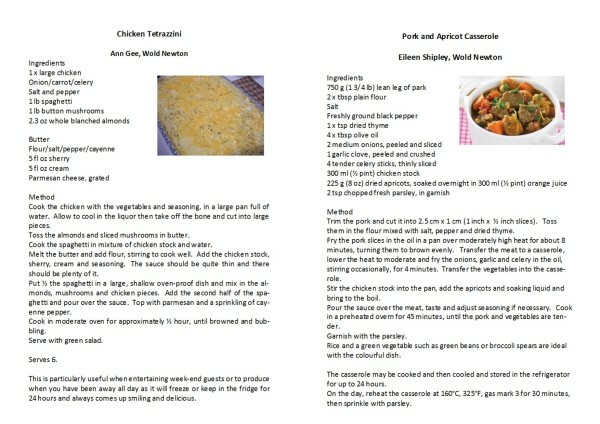 The recipes are published with the original weights and measures, so there are conversion charts to assist in assigning the correct quantities of the ingredients. For ease of use, the pages are of heavy duty gloss paper, and ring-wire bound so that they lie flat when opened. At a price of £5 a copy, which includes postage where the books cannot be collected directly from the Church, this represents excellent value. This morning saw Archbishop John Sentamu arrive at All Saints’ Church, Wold Newton, to lead the congregation of over 100 people in our combined Benefice service of Holy Communion. 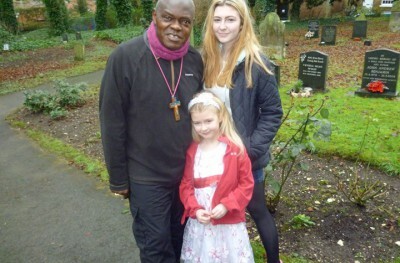 He was assisted by Benefice Priest-in-Charge Revd. Glyn Owen. The Church’s Singers were in good form starting with an introit of ‘Look at the World’, the congregation in good voice, and left reflecting on the part they are playing in the life of the Church following the Archbishop’s address. 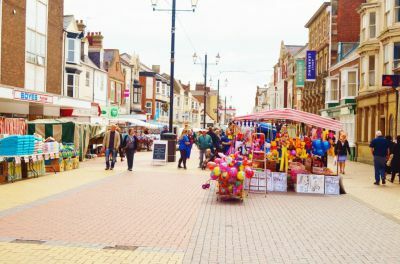 We were all urged to talk less about the weather to friends and neighbours, and instead more about the good news of Jesus Christ, recognising that we all have a ministry in the Church. After the service the Archbishop had time to chat with parishioners whilst coffee was being served, and all too soon it was time for him to set out once more. In the picture, Rebecca and Tiffany of the Church’s All Stars group see the Archbishop off on the next leg of his journey to West Hill, Bridlington. After a song and a talkbased on the theme of 'The Good Shepherd', the All Stars Family Group welcomed some of Mr. Shipley's orphaned lambs into the churchyard, and helped with their feeding (look at the pictues below). After the feeding, all returned to the Church, where the children drew pictures of the lambs, whilst adults prepared drinks and served cake. Oliver Smith concluded the session with a short prayer of thanks for springtime. You can click on each of the stack of pictures to the right to display them in full view. Thank you to all who helped serve, and all those contributing items for sale. in the Community Centre at 7:00 p.m. The afternoon of Sunday, 13th August 2017 saw the Right Rev'd Alison White, Bishop of Hull vist Wold Newton Church. 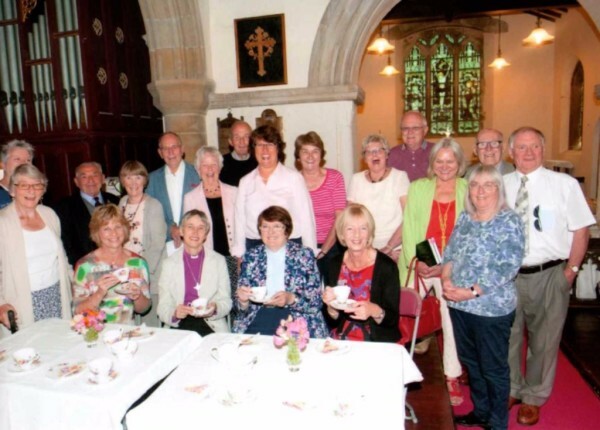 Afternoon tea was served in the Church from 4:30 p.m. onwards, giving Bishop Allison and parishioners the opportunity to exchange news and views in a relaxed setting. 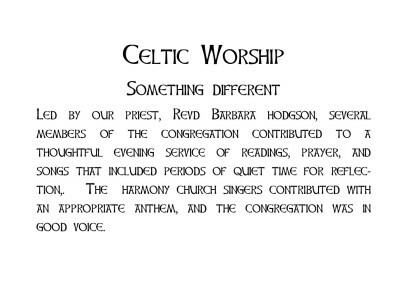 Between 5:45 p.m. and 6:00 p.m. the Church was converted from a tea room to a place of worship, and Rev'd Barbara Hodgson led our 'Big Sing' service, celebrating the place of music in worship. The address was given by Bishop Alison.